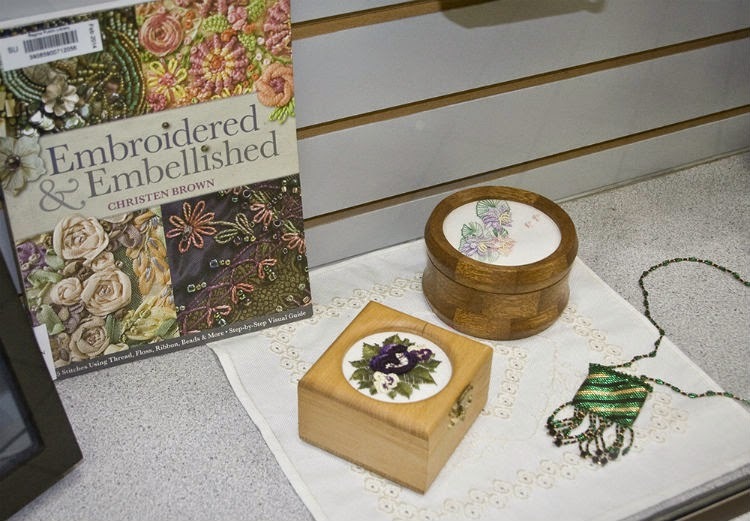 Cheri Ward is our Public Relations person on the Regina Stitchery Guild Executive. 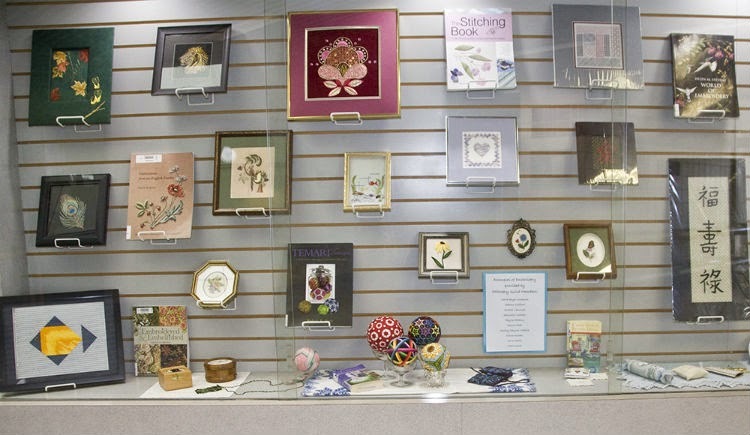 As we continually try to attract interest and new members, Cheri recently contacted our Public Library and arranged to have a showing in the display cases at the Sunrise Branch Library. 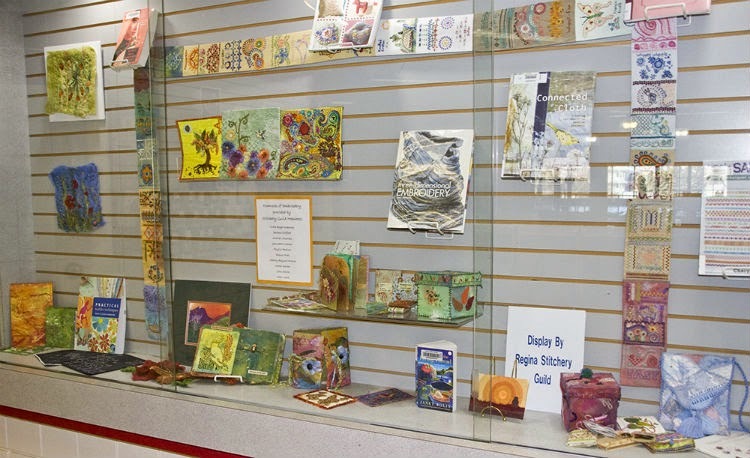 Library books are also on display to go along with the various techniques. 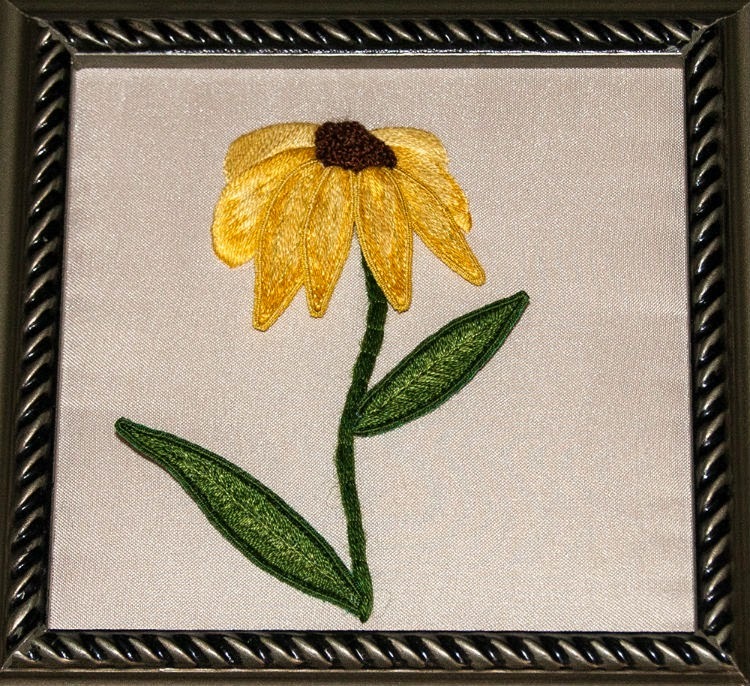 Yellow Daisy embroidered by Shelley Rayner-Hubick. 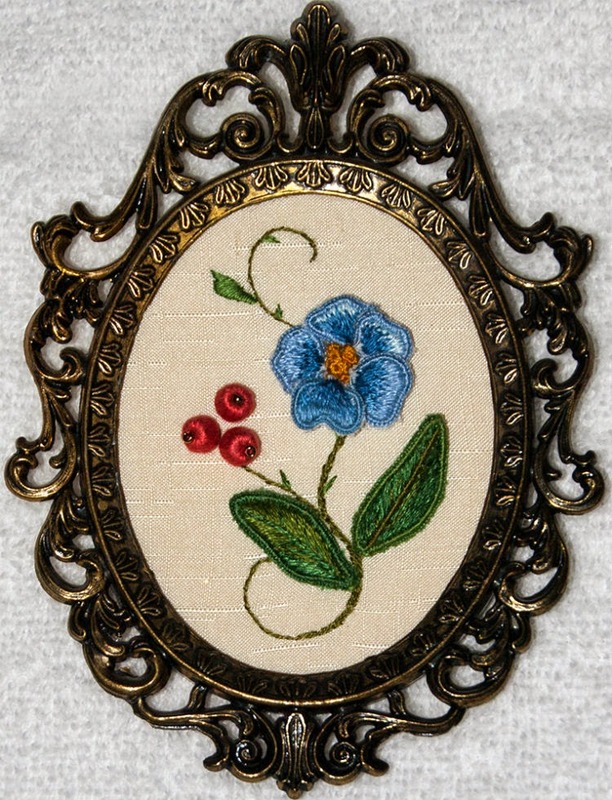 Blue Blossom Stumpwork embroidered by Eleanor Podl. A sampler stitched by Cheri Ward. 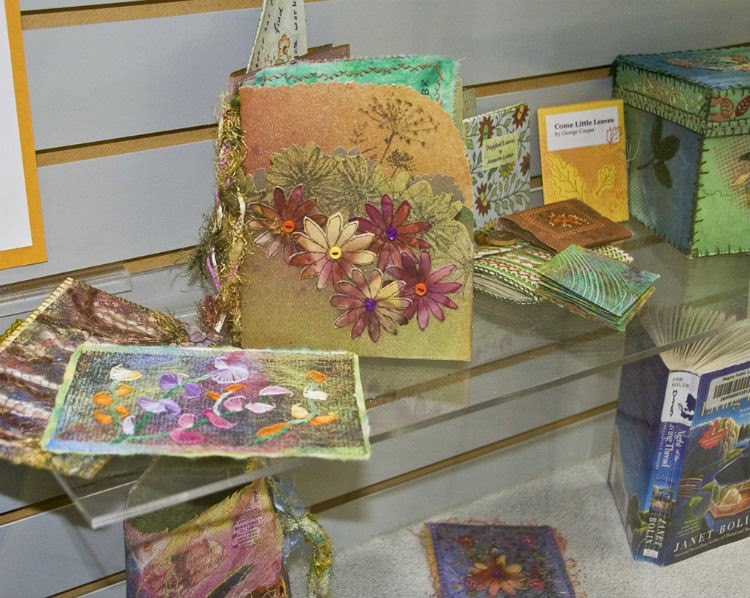 and items from our Mixed Media Explorations program taught by Leann Clifford. 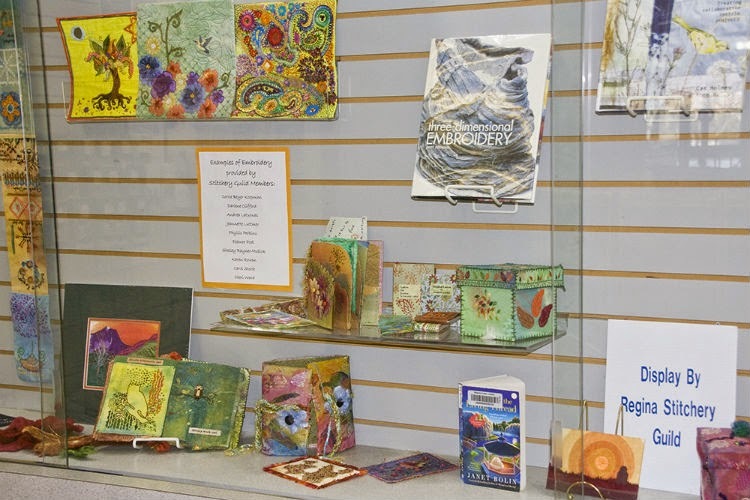 The display cases look wonderful with all the beautiful and varied items on exhibit. Great job in putting it all together Cheri! Wonderful display! 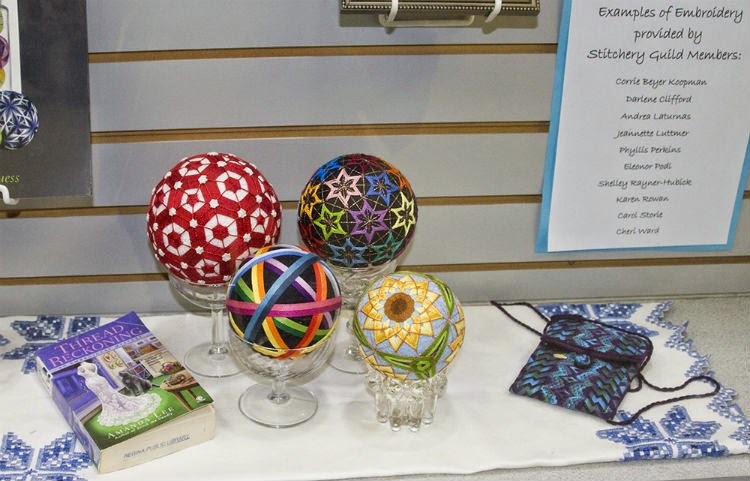 So nice to see so much beautiful stitching all in one place! Sure wish other cities had such excellent well used facilities to display our art and possibly spark interest and increase to our memberships.